Geo-Environmental undertook investigations on land at Chandlers Ford on behalf of Linden Homes. The former industrial and commercial uses of the site meant that a complex assessment strategy was required to address the environmental sensitivities involved with converting this site to residential use. In addition to the geotechnical assessments, it was necessary to perform a range of detailed environmental assessments and develop remediation strategies to deliver a site for residential use. Geo-Environmental worked closely with the Client, regulators and other members of the design and construction team to provide a phased assessment to support the development of the site for housing. Geo-Environmental was able to provide specific expertise in relation to the assessment, characterisation and remediation of this complex brownfield site. A combination of remedial solutions were required sometimes at different stages of the development due to the site’s complex land use history and sensitivity of the development. This required a thorough understanding of the Client’s objectives and development programme. Tackling the challenges posed by brownfield land, requires a wide range of technical expertise and practical experience to ensure that risks are minimised and assets realised. 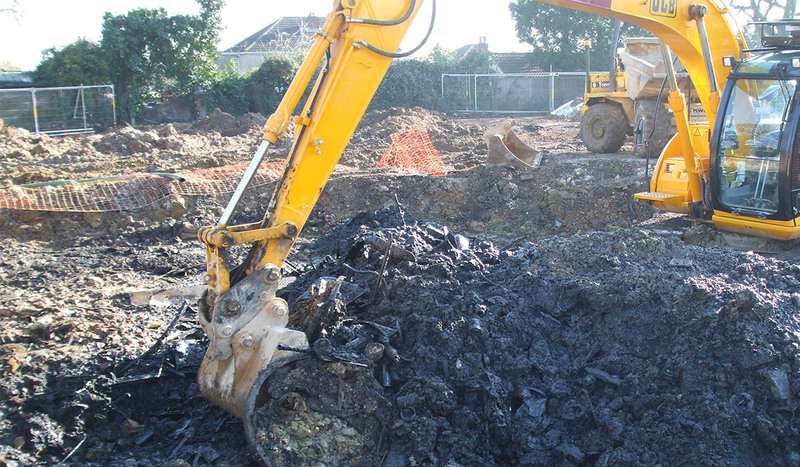 Geo-Environmental provided a comprehensive service, being able to take this project from the initial phase of assessment and investigation through to remediation and validation. Geo-Environmental took a collaborative approach to working with the Client, regulators and other members of the design and construction team thereby supporting both an innovative approach to risk management and the provision of integrated solutions to enhance the built environment. Through professionalism, effective communication and flexibility, Geo-Environmental worked with Linden Homes to deliver their goals and helped to minimise delays and expenditure on the development.